End Time Delusions: Diana's Death:COINCIDENCE, OR RITUAL SACRIFICE? The Pont D’Alma Tunnel was a sacred site dedicated to the Moon Goddess Diana, where they used to practice ritual sacrifices. During those ceremonies, it was of an utmost importance that the sacrificed victim died inside the underground temple. 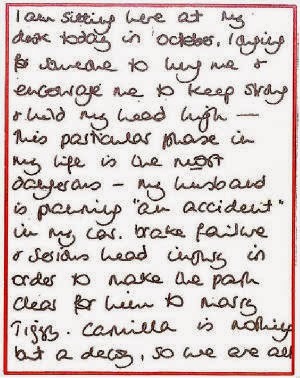 Princess Diana died inside the Pont D'Alma Tunnel after her car hit the 13 column. taking care of the weak in her missions in third world countries and by giving birth to the future heirs of England’s throne. Oak tree groves were especially sacred to the Goddess Diana. In Roman times, Diana’s groves and sanctuaries were always in the wild, outside of the boundaries of the city. Such hidden temples were found all across Europe. 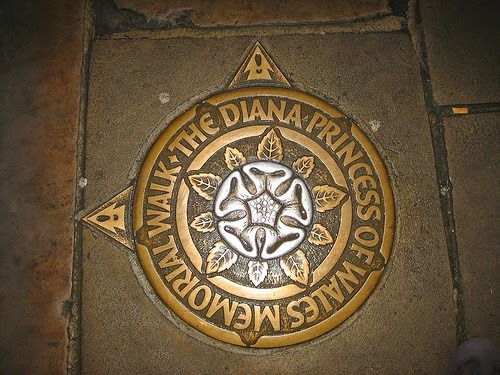 To further the resemblance with the Goddess bearing her name, Lady Diana was buried in a grove in her home town. 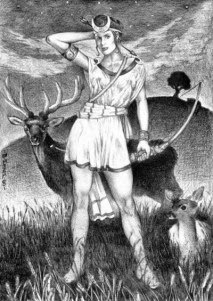 The Goddess Diana is often depicted with deers and doves.The female principle is often represented by the moon, where the Moon goddess is opposite to the Sun god . The feminine energy is also commonly associated with the planet Venus, represented in symbolism by a five petal flower – the rose. The goddess figure appears unmistakably in all religions, even in Christianity as the Virgin Mary. These symbols representing the female deity exist since prehistoric times and were preserved and diffused through pagan mysteries and through mystic Judeo-Christian teachings. Today’s students of the occult easily recognize and interpret those symbols. 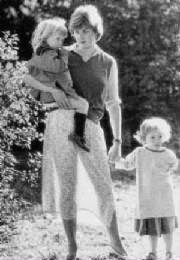 We will later explain how they have been used to associate Lady Di with the concept of the sacred feminine. 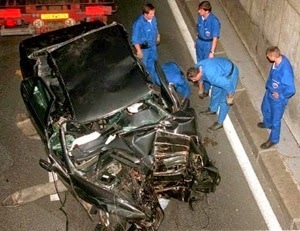 As you might know, Princess Diana died in a limousine “accident” inside the Pont d’Alma tunnel, in Paris. Her vehicle was supposedly chased by paparazzi who caused the world-class chauffeur to lose control due to his inebriated state after consuming alcohol. We can argue for days about the theories concerning these events, but this is not the purpose of this article. The truth lies in the symbols placed on purpose for the initiates to recognize. 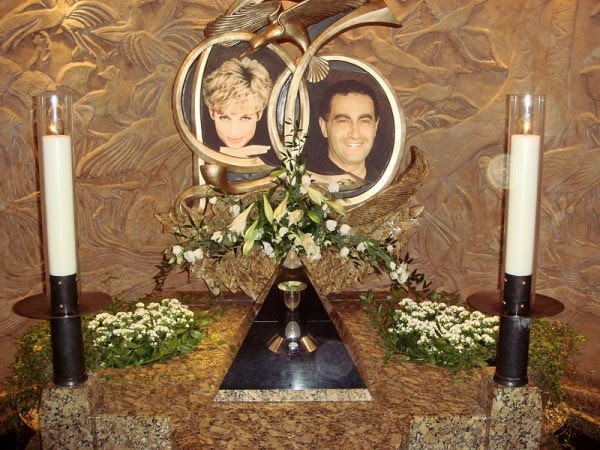 One of them is the actual site where Diana lost her life, the Pont D’Alma Tunnel. The Pont D’Alma Tunnel was a sacred site dedicated to the Moon Goddess Diana, where they used to practice ritual sacrifices. 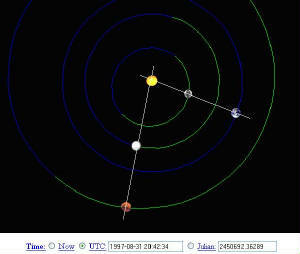 Is it just "a mere coincidence" that there was a double planetary alignment on the day she was murdered, ? Is it also a coincidence that the feast of the Assumption of Mary (a feast observed by the Roman Catholic church which they use to celebrate and remember the bodily assumption (taking up, ascension) of their 'Virgin Mary' into Heaven at the end of her earthly life) is also celebrated in August (August 15) a few days before the date that Diana died? (The American entertainer Madonna (lt. The Lady) was born on August the 16th 1958) The sixth sign of the zodiac Virgo (sometimes referred to as the weeping virgin) occurs btw August 23 - September 22. BASHIR: Do you think you will ever be Queen? DIANA: I'd like to be a queen of people's hearts, in people's hearts, but I don't see myself being Queen of this country. I don't think many people will want me to be Queen.Excerpts of Martin Bashir's Interview with Diana Broadcast November 1995 On BBC1'S Panorama. 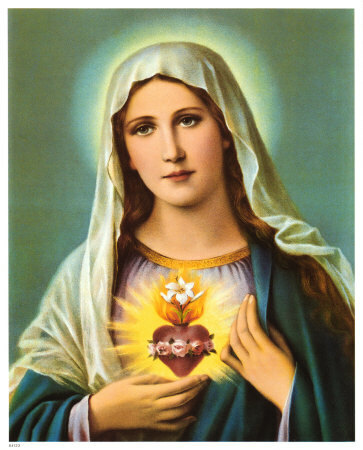 Do you think it was just a 'mere coincidence' that she claimed to like being the "queen of people's hearts and in Peoples hearts" before her death, the same way that the Mother goddess was believed to rule in the heart (and was also called the queen of the heart) and do you think it is another coincidence that the card above is also named the "queen of hearts" and yet another coincidence that the feminine goddess is believed to have an immaculate/sacred heart? And yet "another coincidence that she died with her lover Dodi Al Fayed: The goddess Venus was called the goddess of Love, the feminine principle was also believed to ascend ( become perfect and united with her spiritual source ('higher'/'Heavenly' self ) by love? And yet another coincidence that 1 Cor 13 a Bible chapter that is devoted to love was chosen to be read at her funeral service? And yet another coincidence that Paris (The city where the accident happened) is often referred to as the "city of lovers"? and yet another coincidence that there is a torch of fire that is located above the spot of her death,The same way the feminine principle (e.g the statue of liberty, Hestia, Vestas,) was associated with a flaming torch which pagans believed was ignited and sustained through her union with her lover (the male principle,higher consciousness ) and yet another coincidence that they also believed that fire was the key to her(the goddess) ascension? 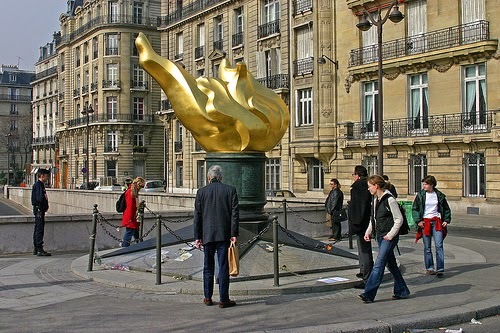 The Memorial Torch of Pont d’Alma, notice that it is a torch mounted on a 'black' pentagram. Black represents death. The Car that Diana died inside. Notice that it is also black. 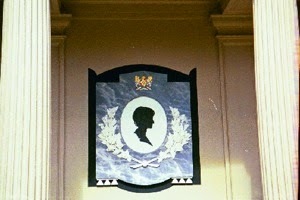 Diana's 'shrine' at Althrop. Notice the 'black' face used to represent her. And yet another coincidence that the accident happened in Paris,A city dedicated to and named after Isis (The name Paris is derived from the word Per Isis:Temple of Isis) Note that Isis was an Egyptian Goddess. And yet another coincidence that she died inside the Pont d’Alma tunnel (Pont d'alma when translated into English means Bridge of souls i.e Bridge across the river of souls) the same way the feminine principle (the soul) is believed to be dormant (sleeping) inside the consciousness (below, ocean, rivers) of humanity and is believed to be ascend to meet her lover (her source, lover) who abides in the crown chakra (above) through the bridge of divine Love (Love is the bridge that connects different people together) i.e Love is what attracts a woman to a man and vice versa. Without love (or lust/desire) there would be no attraction between the male and female.And yet another coincidence that Diana (lt."heavenly" or "divine"), the Roman goddess that she was named after was called the queen of Heaven i.e the goddess in her ascended form? 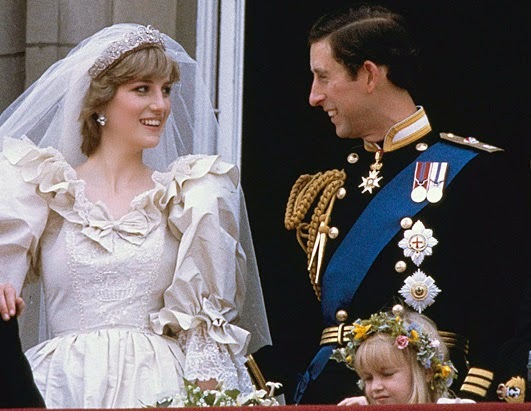 And yet another coincidence that in August 1997 (The same month that Diana died), a petition was presented to the Pope asking for the Virgin Mary to be made co-redemptrix with Christ and yet another coincidence that she was the princess of Wales = Wails i.e the one people wailed for? The goddess is a personification of the ideal or perfect state that creation is supposed to assume: It is generally believed in occult circles that the creation is in an imperfect state (the imperfect state is symbolized as the fallen goddess who the Gnostics call Sophia Prounicos) because it is alienated from the universal spirit embedded within it. The sacrificed goddess (Sophia Barbelo, Isis, Diana etc):The one who sacrifices her identity in exchange for the identity of her lover is therefore used to represent the perfect heart state which the fallen humanity needs to attain(through alchemy) in order to attain occultic enlightenment and be restored to a state of 'wholeness'. When the goddess is represented as having an immaculate heart, it is simply a way of demonstrating that the fallen creation (Sophia Prounicos, Persephone) has attained the perfect heart state by the transmutation of her heart from a profane state to a divine state. When the goddess is depicted as ruling in the heart, it is a demonstration of the fact that the initiate is being ruled by the consciousness of the restored goddess (Sophia Barbelo). (Her ignorance and individuality are both symbolized by the Egyptian god Set , the Greek goddess Persephone or by the Hindu term Kundalini). When the reconnection/reunion with her husband occurs occurs, the woman ascends to a heavenly state of consciousness and the new 'heavenly' consciousness (son: symbolized by Isis son Horus) that is born inside her makes her become an embodiment and reflection of her husband (the universal spirit) i.e a female reflecting the male principle, The same way the moon reflects the light of the sun. Note that the Spirit is sometimes referred to as a female in its latent state because it is ignorant and as a male/androgen in its Active state because it is fully aware. The Olympic Ritual of lighting and taking the Olympic flame across the world is a representation of the principle of spreading the 'divine' flame (ignited in the spiritually initiated ones) around the world (to the uninitiated). The flame represented the goddess's connection with (desire for) her lover and the flame was sustained by her continual desire for him. The more desire she had for him, the more the fire was sustained and the less desire she had for him, the less the fire was sustained. 2.A lunar year has 13 months. The moon is usually represented by a female. i.e the receptacle. Occultists and Pagans believe that the union of soul and spirit' perfects' and 'whitens' humanities dark souls and that is why Friday the 13 is usually associated with bad events: Friday is the day dedicated to the goddess Freya/Venus. 13 is the number of the Universal soul/spirit embedded in Matter (Humanity). i.e The Universal soul (represented by the goddess) is bad karma/negative energy/evil. 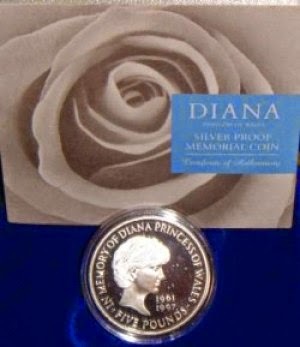 Diana died on a sunday (a day dedicated to the sun god) in order to reflect the Illuminati's ultimate mission of perfecting the universal soul by unifying it with it's counterpart/lover (spirit) i.e the transformation of the 'profane' soul by uniting it with the spirit in order to make it become 'sacred'. Note that 31 (the date she died) is 13 written backwards.